This is the home of an artist, Martha Sturdy. 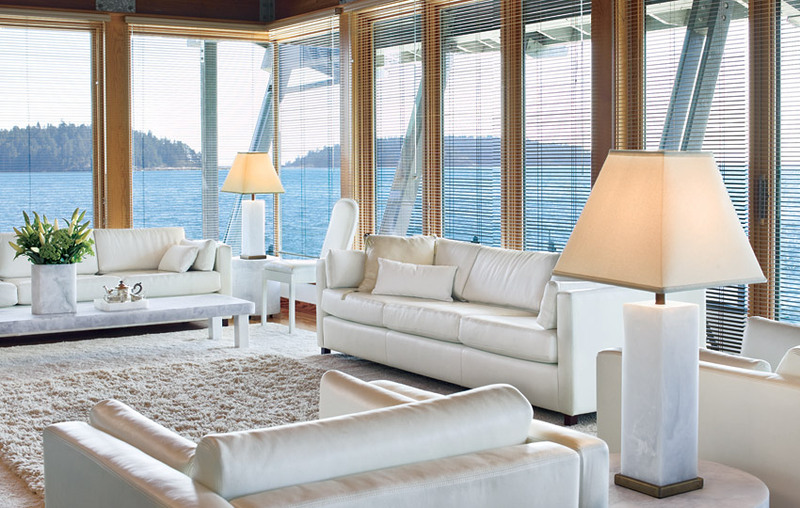 A dramatic private getaway, overlooking the Georgia strait in British Columbia. Its a mere few hours away from my home...maybe I should drop by to say hello :-) I am pretty sure that, I cannot do that, but I can admire her living room from afar :-) The white, minimalistic and ultra modern decor of this room is usually not my style but then today is different!! I love the look !! The wall of sheer glass makes this room both bright and beautiful! Enjoy the rain. The rain must fall. Congratulations to Kanika for winning your beautiful giveaway. I love the view of the ocean too. Don't get that until we go several miles from mid Kentucky. That is not my style decor either, but I could take it. Sun shining here today but rain on it's way.